OUSD staff can now monitor CAASPP test completion data to see whether each site is meeting the 95% participation rate. 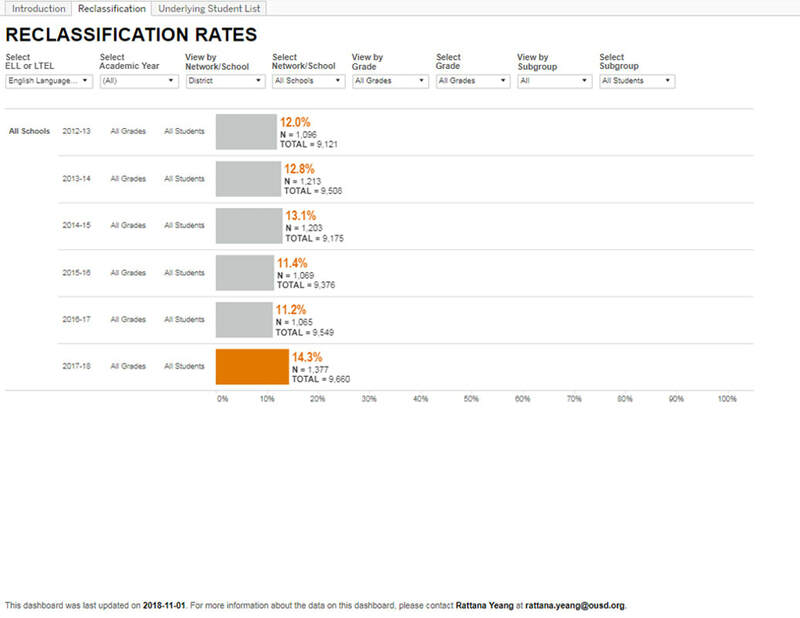 Use the SBAC-CAA-CAST Test Completion Rates dashboard to track SBAC, CAST, and CAA completion rates. Data is updated weekly every Monday throughout the testing window. For OUSD Site Staff and Testing Coordinators: The online California Alternate Assessment (CAA) for Science replaces the CAPA for Science. The CAA for Science is administered to only the most severely disabled SPED students enrolled in SDC moderate/severe courses. The CAA for Science falls under the CAASPP umbrella and consists of three embedded performance tasks. All three PTs must be proceeded by instruction and testing completed by April 19. 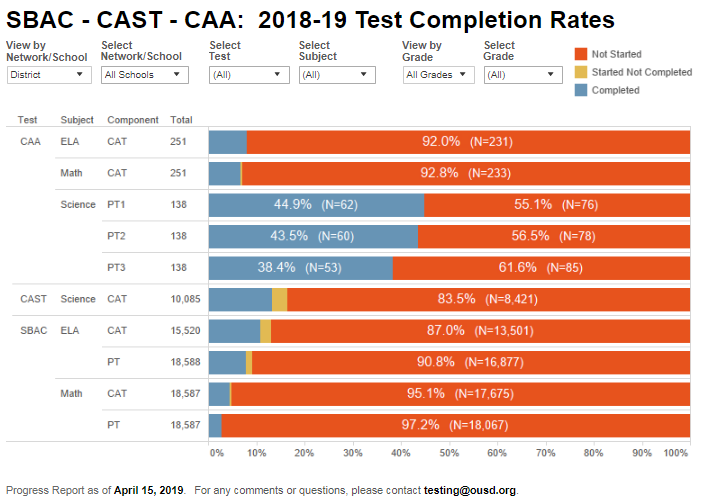 This SBAC-CAST-CAA Completion Rate dashboard will be updated weekly. The CAA Math and ELA assessment window will open in April. Updated Dashboard Guides Now Available! 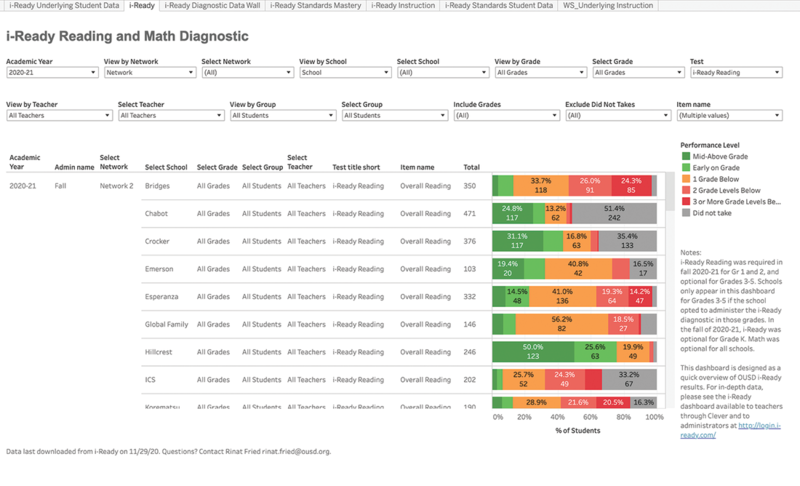 For OUSD Staff: General How-To-Guides for Data Team dashboards are updated! OUSD staff members can access them here. 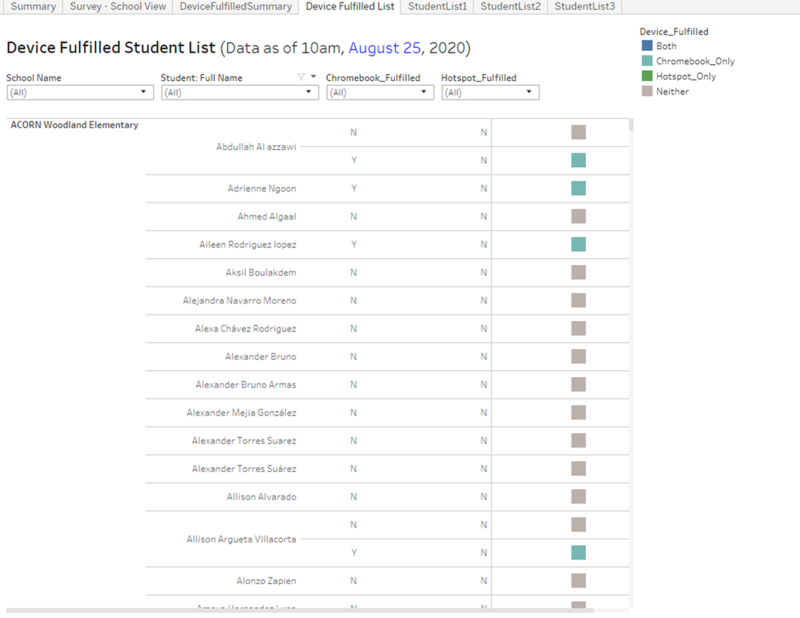 For OUSD Staff: Updated Comprehensive Student Data Roster (CSDR), Excel 'database' is available for school leaders and Network Partners in Data Reports - Internal Google Drive folders. Check the online Guide to the CSDR for details on how to exploit the 200+ data points. 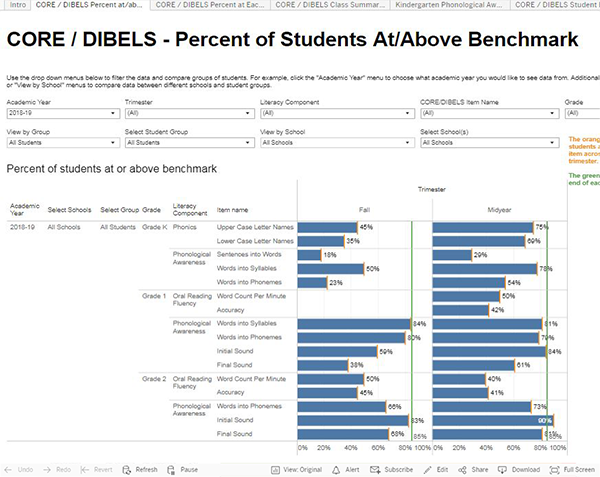 CORE Multiple Measures and DIBELS ORF Dashboard Now Available! 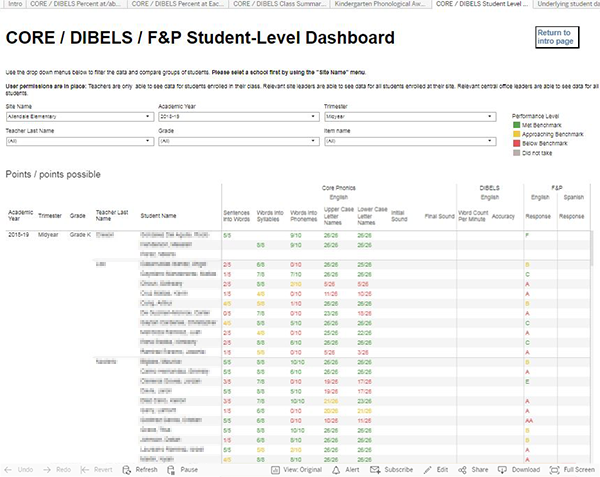 For OUSD Staff: New CORE multiple measures and DIBELS ORF dashboard now available. On the dashboards linked here you can see the results from the CORE and DIBELS assessments. ​Keith Welch, Strategic Fellow, RAD, keith.welch@ousd.org. Average GPA Dashboard Now Available! 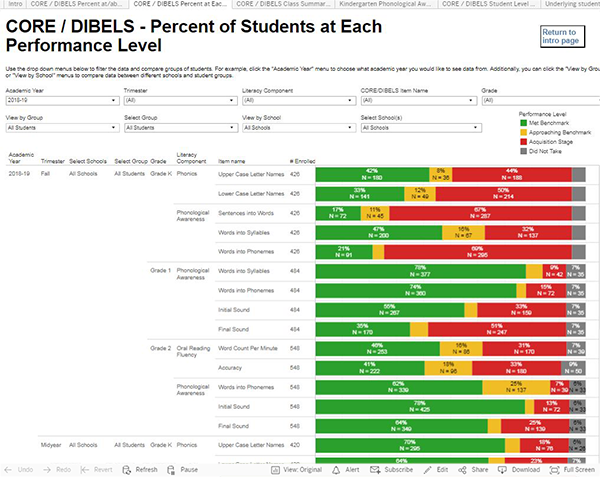 For OUSD Staff: New GPA dashboard now available! 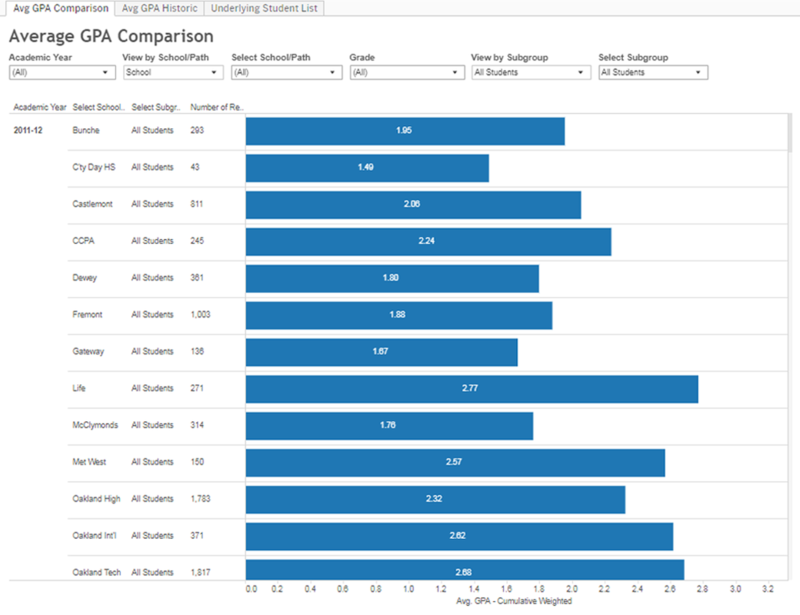 This dashboard allows users to view and compare average GPA by year, school, pathway, and subgroup. Additionally, the historical view shows GPA trends over time for the selected group. New Period Attendance Dashboard Now Available! For OUSD Staff: ​Percent of scheduled periods absent and percent of attended periods partially missed due to Tardies by Year, School, Date, Month, Reason, Period, Teacher, and Course. 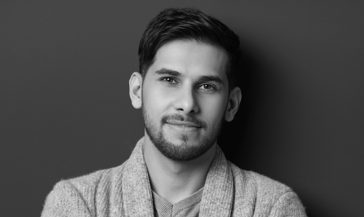 Student Profile gives detail of period attendance for current students. Grades 6-12 only. 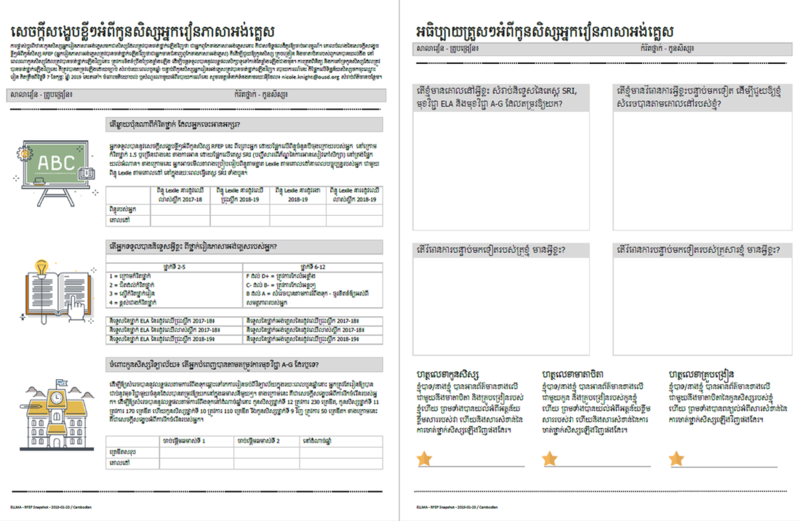 UPDATED ELL and rfep STUDENT SNAPSHOTS NOW AVAILABLE with Translations in Chinese, Khmer and Spanish! For OUSD Staff: This student level snapshot was designed to help you understand what the process of reclassification is with supplemental data that you can act on. In ELLMA's school level, Knowledge Center folders you will find a PDF file sorted by teacher and student name. Data points include performance levels the English Language Proficiency Assessments for California (ELPAC), Lexiles from the Scholastic Reading Inventory (SRI), and ELA and ELD course grades where applicable. Additional translations available here. 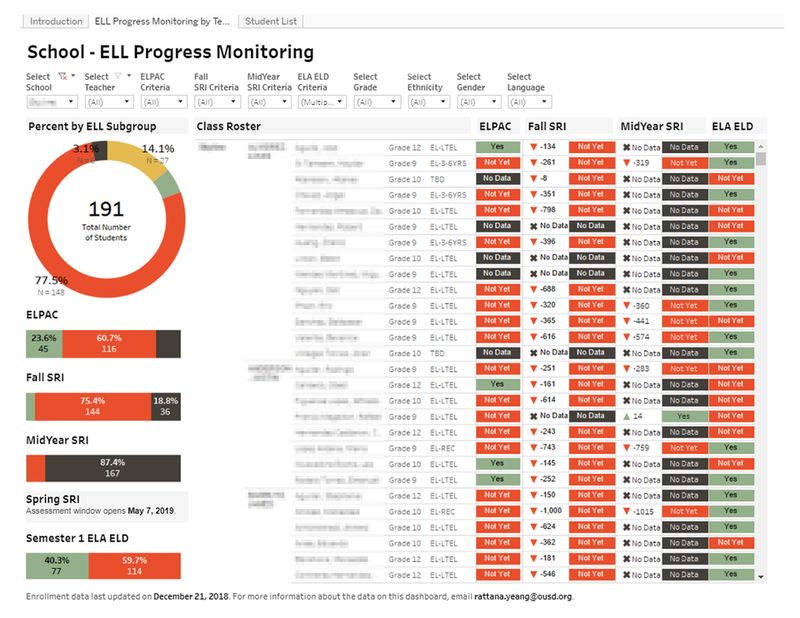 For OUSD Teachers: The ELL Progress Monitoring dashboard is now available with teacher views. ​Teachers that access this report can now automatically view data on the students in their classrooms. 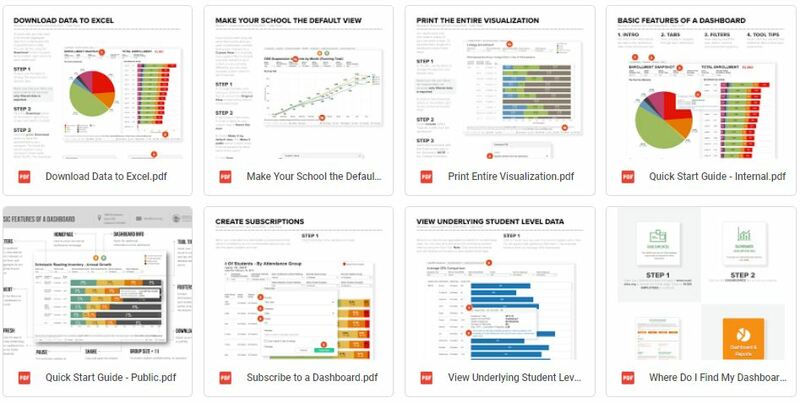 Principals and other site leadership can view data for all students in their school. Central office leadership can view data across multiple schools. 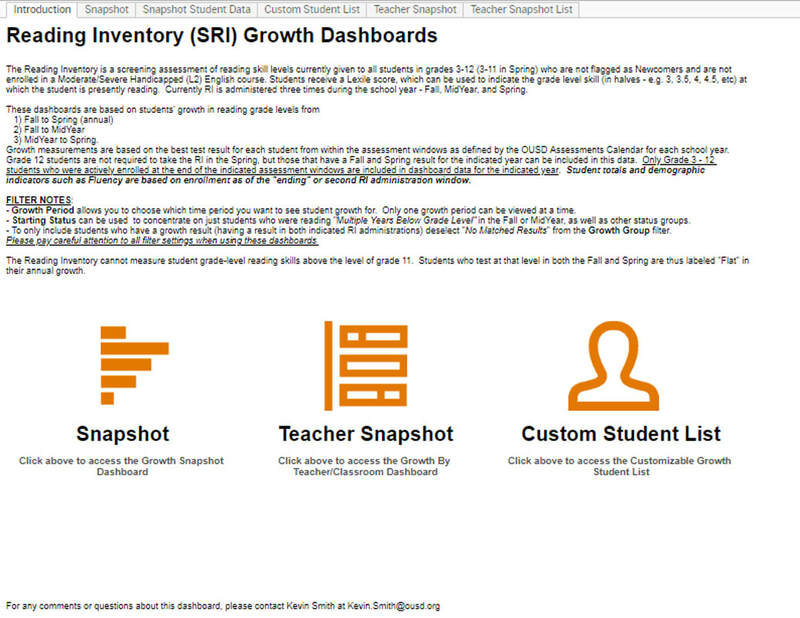 This dashboard was designed specifically for teachers. Use this report to view student level data related to ELL demographics and reclassification criteria for your classroom. 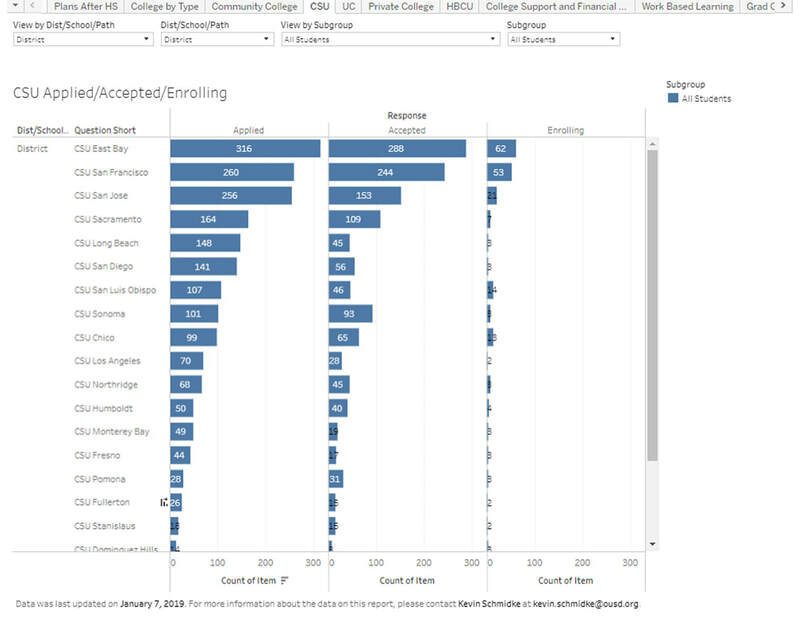 Enrollment data in this report is updated daily. Assessment data is updated once at the end of a testing window and again before the start of a new testing window. Course grades for secondary students is updated after each semester. For more information, refer to our Teacher Guide. the CSDR for details on how to exploit the 200+ data points. 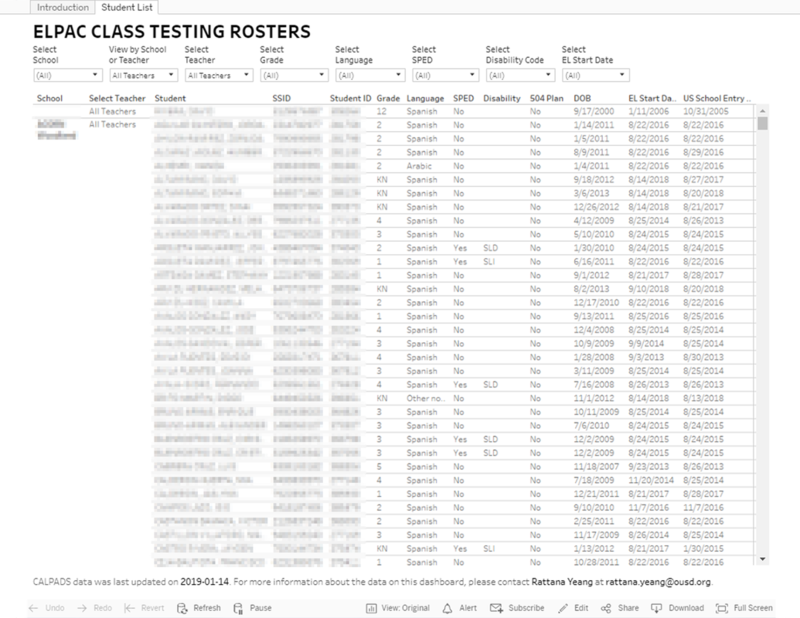 ELPAC Testing Class rosters Now Available! ​For OUSD Staff: This dashboard allows users to see a roster of all the English Language Learners (ELLs) enrolled in the district. New ELLs will show up on the roster each week. Please note there is a typical lag time of 3-5 days, within the ELPAC-TOMS system, from a new student enrolling and showing up in this report. The ELPAC Testing - Class Roster is intended to be monitored by site testing coordinators on a weekly basis to identify ELLs eligible to take the state ELPAC Summative test. Please note test completion is monitored separately. Refer to this report guide for more information. 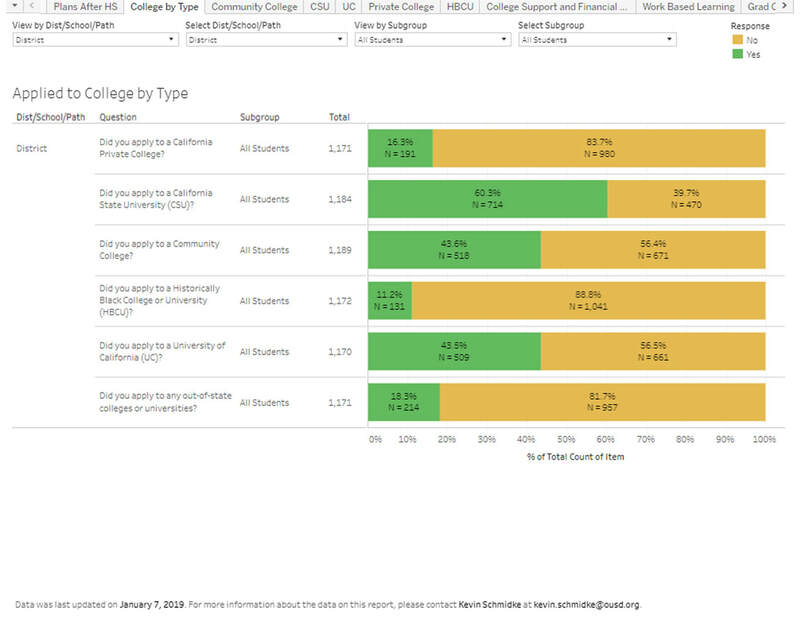 Senior Survey Dashboard Now Available! 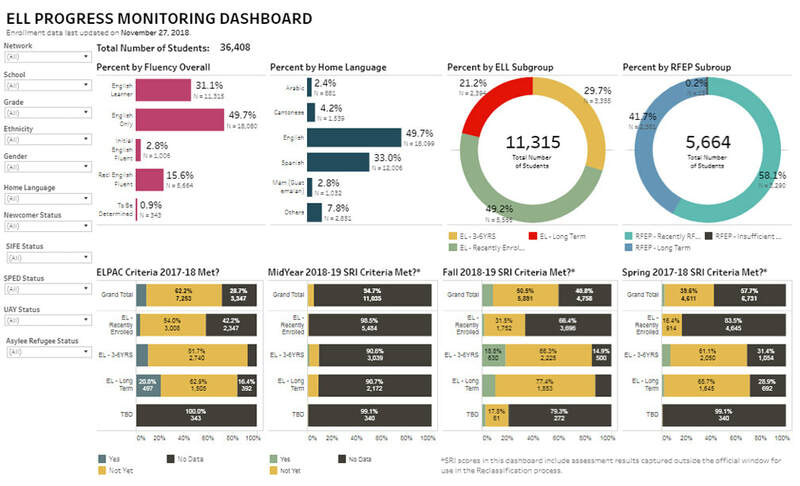 For OUSD Staff - New Senior Survey dashboard is now available! The Senior Survey was conducted at the end of the 2014-15 school year. Students self reported about their high school experience as well as future college and career plans. NEW FAST FACTS 2018-19 NOW AVAILABLE! Fast Facts 2018-19 is now available! Fast Facts was designed to give you quick access to basic numbers and information on OUSD. What is our total enrollment? What is our total number of schools? What percentage of our student population is eligible for free or reduced price lunch? 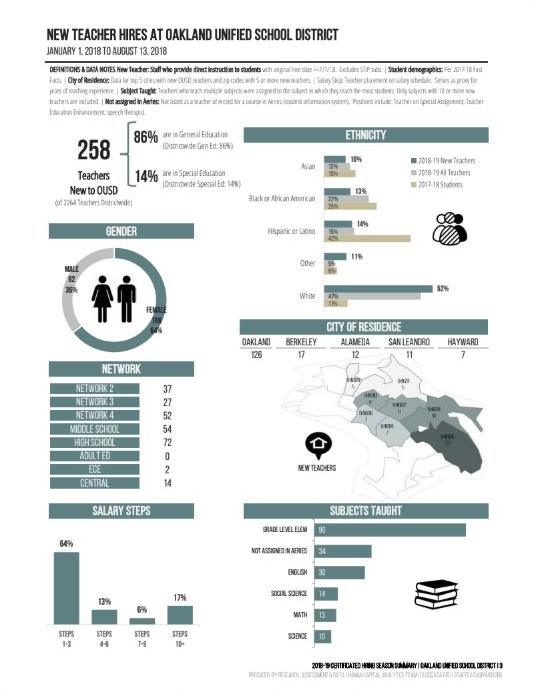 All these answers and more can be found on our simple to use infographic. 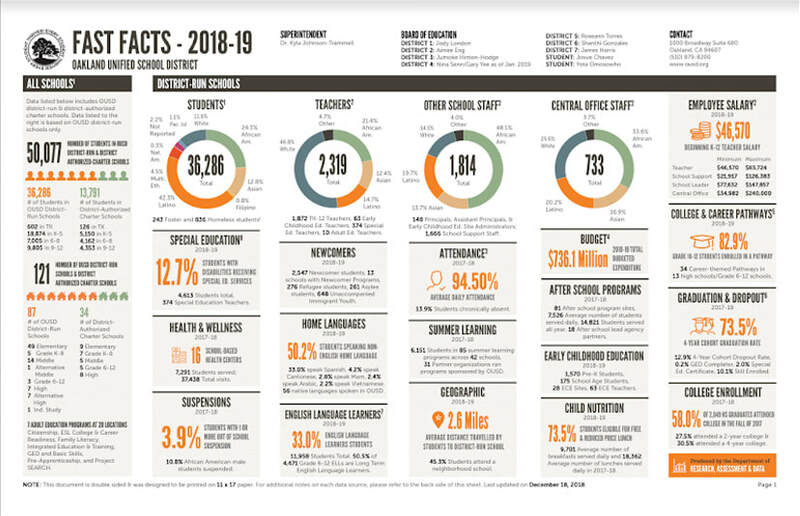 For use by the public and OUSD staff: The Certificated Hiring Season Summary is a tool for reflection about OUSD's hiring of certificated staff for the 2018-19 school year. 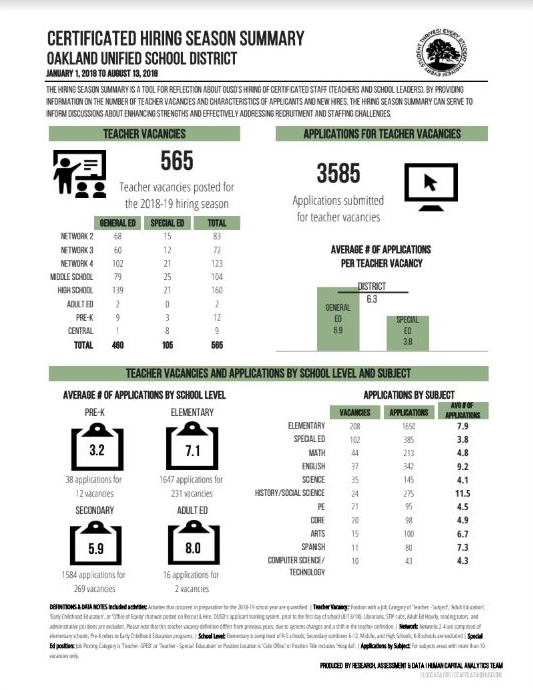 It includes information on vacancies and the characteristics of our newly hired teachers and school leaders. Updated Feeder Patterns Dashboard Now Available! 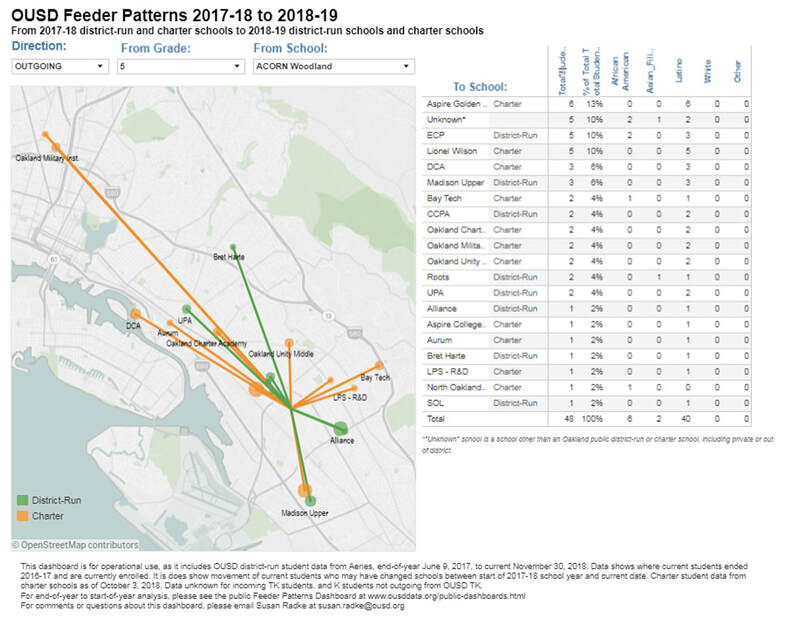 For OUSD Staff: Use these dashboards to identify which schools students go to and come from year to year across OUSD district-run and charter schools. 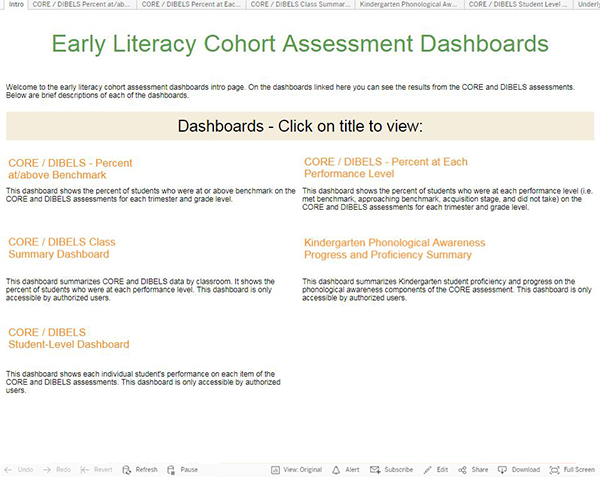 For OUSD Staff: Use this dashboard to view summary English Language Learner data across the district, networks, or schools by demographics and reclassification criteria on the California English Language Development Test (CELDT) and the Reading Inventory (SRI). 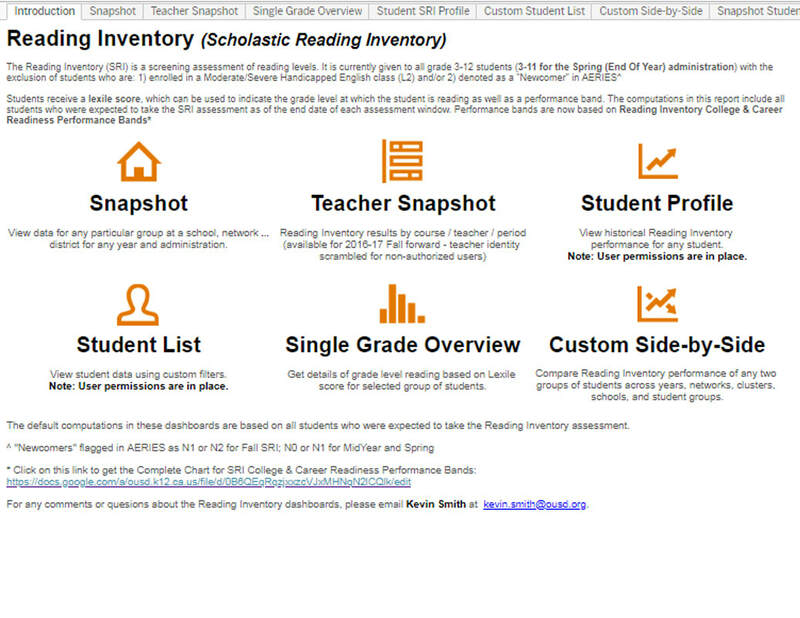 ​Reading Inventory Performance and Growth Dashboards are now updated with week 1 MidYear results! Illuminate now offers an F&P parent letter in English and Spanish that shares with parents their child’s reading and benchmark level. The letter also explains the characteristics of readers at the child's level, and describes the traits of books at the child’s reading level. These links will take teachers directly to the report, where they can print letters for their entire class roster in less than a minute. 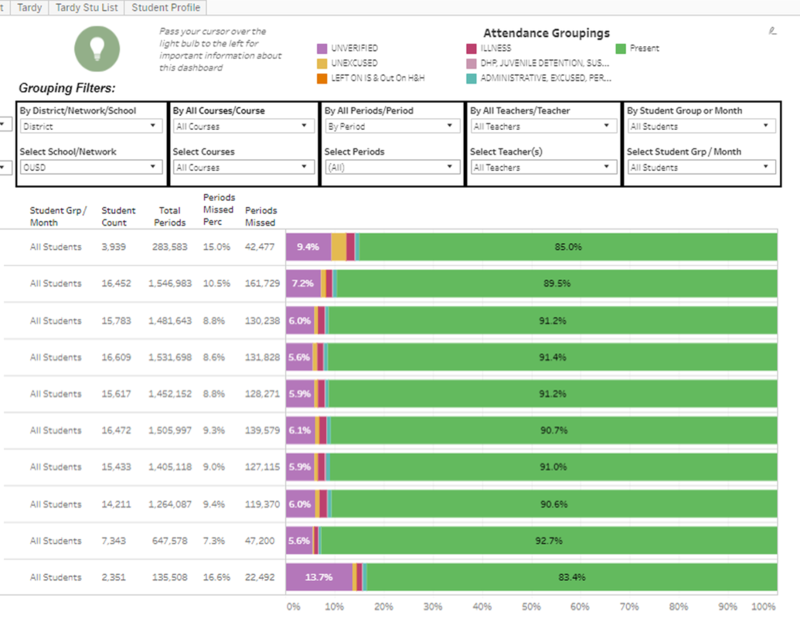 ​The Summer School Attendance & Participation dashboard has been updated! It now includes summer data from 2018. 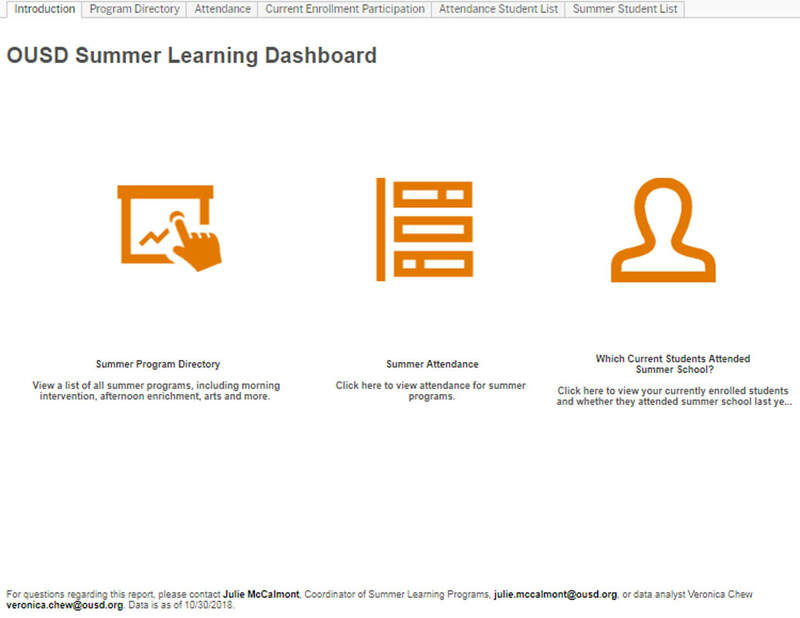 Learn more about program offerings, summer enrollment and attendance on this dashboard.